I’ve been making Christmas crafts all week while hibernating from the torturous snow. Living in Canada you’d think I’d be used to it but every year it seems to torture me more. Ugh. 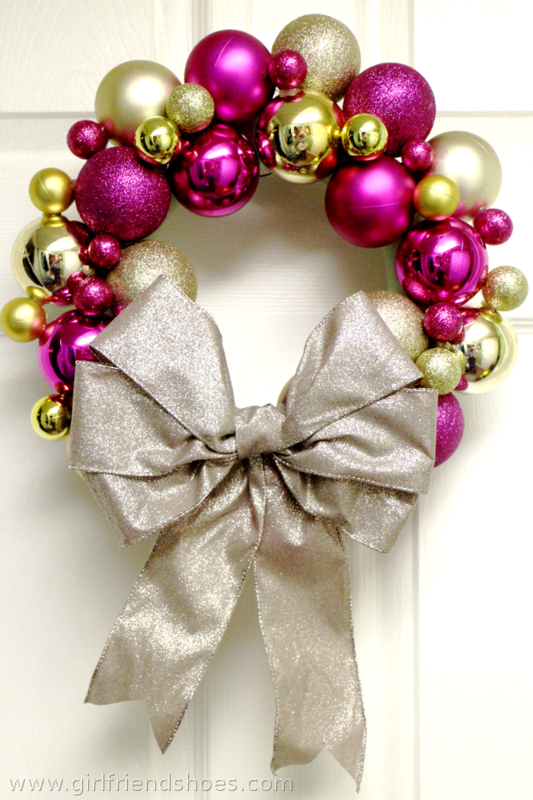 Something like a pretty Christmas ball ornament wreath! I have seen many of them on Pinterest and wanted to make my own. I used a foam circle wreath, dollar store ornaments, my beloved glue gun & big gold ribbon. 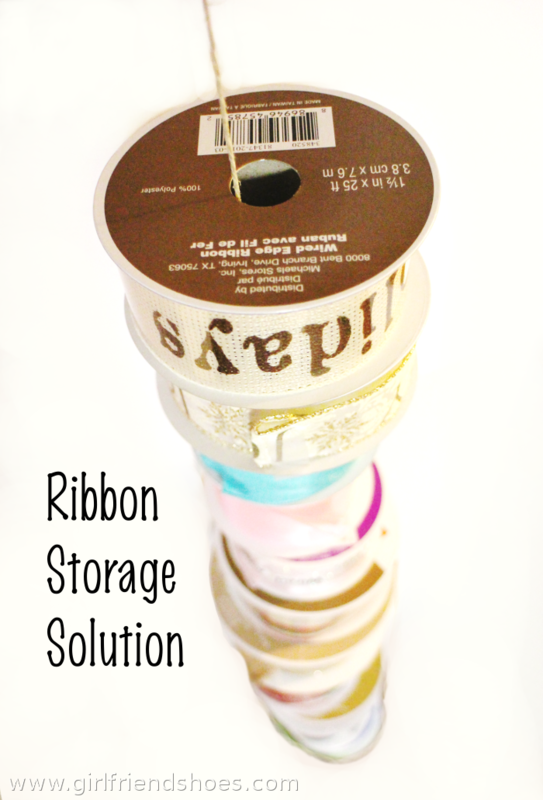 During the week while making crafts and trips to Michael’s, I realized that my collection of ribbon spools were causing me frustration by not being neat and easily accessible. I then came up with a way to keep them so that I can see all the ribbon that I have while having them in a compact space. I hung them on some hemp rope. Probably won’t keep it like this forever, I’d like to store it horizontally but with limited space this vertical storage solution does the trick.